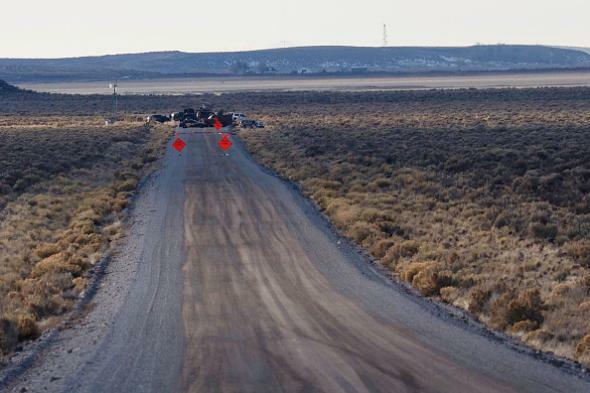 Armed Oregon wildlife refuge occupation winds down. A checkpoint near the Malheur Wildlife Refuge in the area of Burns, Oregon. Eight protesters were arrested Tuesday (including one who turned himself in in Arizona). The Oregonian reported Wednesday night that about 10 protesters remained at the refuge, though that number appears to have included Patrick. The occupation began on Jan. 2 following a nearby protest against the imprisonment of two ranchers.